A few weeks ago, ABC aired a preview episode of The Bachelor and a recap of who Arie is for those that forgot him. I wasn't motivated to watch and blog on this preview for three weeks. That doesn't bode well for blogging the season. I go through this mental tug-of-war about blogging on The Bachelor or The Bachelorette each season because it is an actual waste of time, but if I chose a word for 2018, it's going to be BETTER. My blogging has to be BETTER than it has been lately, and I can only talk about my robo vac so much. As far as I recall, without reading through the archives of my blog, Arie was ok, but nothing special in my mind during Emily Maynard's season. I should really be cleaning my bathrooms instead of doing this blog right now. As usual, I'm behind and back posting because tonight I have to blog about the real thing. Happy New Year's to me! So, back to Arie and the "Countdown to Arie" episode. Chris Harrison promises it will be one of the most romantic seasons ever. Blah, blah, blah, previews will leave us breathless. We begin with a recap of his season. If you want to know more about what happened his season, search for "Arie" on my blog. 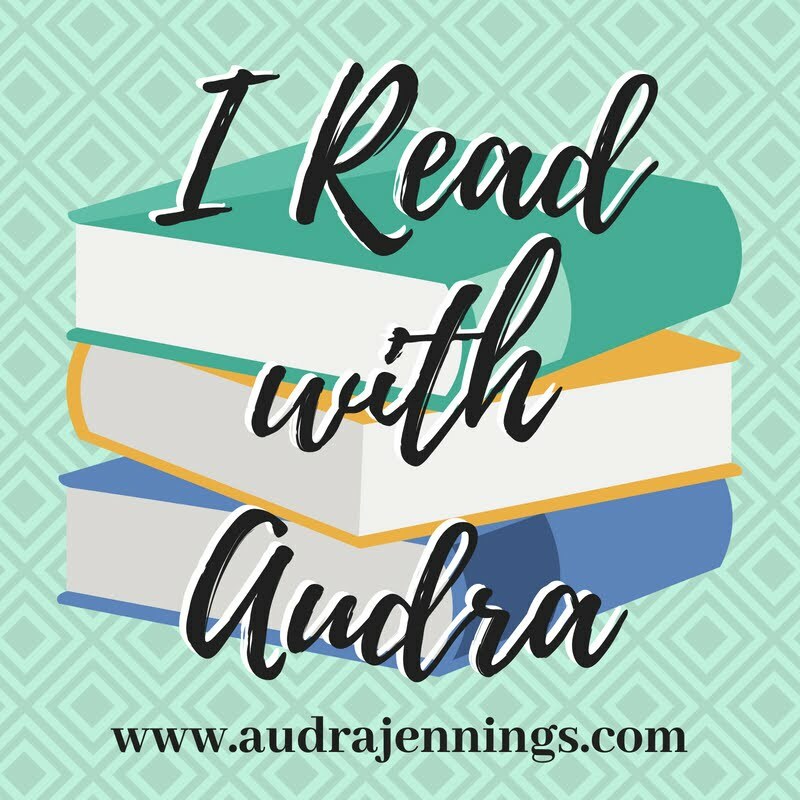 ;) Emily was really attracted to Arie, but the fact he was a race car driver was a negative given she had lost the love of her life, her baby daddy, who was a race car driver in a plane crash. At least that was something that came up during the season. There's tons of face sucking in all the recaps. 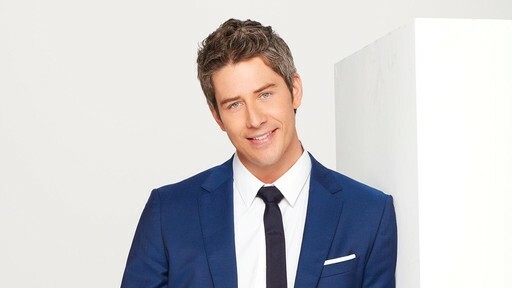 Arie was shocked when he was sent home and focused on racing a lot around the world after his time on the show. That was was six years ago, and he is ready to marry now. SIDE NOTE: These women have some of the strangest spellings this year and there are FOUR Laurens (as opposed to the usual three). *Maquel, 22, photographer, Orem, UT - She loves shooting brides and the fact their photos will follow the all their lives. She is too young for Arie. I can tell you that right now. *Tia, 26, physical therapist, Weiner, AR - They know how to find the Arkansas girls with the thick accents. She's from a small town where they have to make their own fun like shootin' guns. *Bekah, nanny, Los Angeles, CA - Her age wasn't given, but she looks about 19. *Nysha, orthopedic nurse, Anderson, SC - She likes bloody gunshot wounds and jumping out of airplanes. *Kendall, 26, creative director, Santa Clarita, CA - She collects taxidermy which creeps me out. *Marikh, restaurant owner, Salt Lake City, UT - She owns an Indian restaurant with her mom and hopes Arie is ready for her spice. *Caroline, 26, real estate agent, Ft. Lauderdale, FL - Claims she is really good at her job because of how much she has sold in less than a year. She grew up around cars, so she thinks they have a lot in common. He sells real estate now too. Moving along, a recap of all of Arie's kissing styles and a montage of the top 10 worse kisses on Bachelor/Bachelorette history. Of course, we have to get a recap of all the offspring from couples that actually worked out. Before we end the episode, it's a preview of the makeouts, tears and drama as Arie and his women zoom zoom around the world. Bathsheba, Tamar, Rahab, Hagar, and the Samaritan woman at the well—were they really the bad girls of the Bible or simply women whose situations were greatly misunderstood? 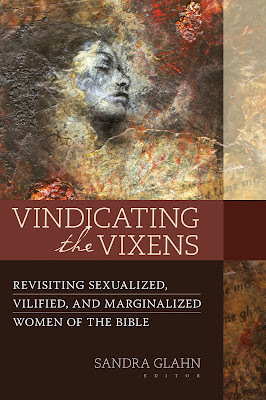 In Vindicating the Vixens: Revisiting Sexualized, Vilified, and Marginalized Women of the Bible (Kregel Academic/December 8, 2017/ISBN: 978-0825444135/$22.99), sixteen writers, alongside general editor Sandra Glahn, take a closer look at the stories of these and other prominent women to help readers gain a better understanding of these women’s God-given roles in the biblical narrative. The church has a long history of viewing notable women of the Bible through a skewed interpretive lens. For example, Eve is best known for causing the fall, Sarah is blamed for tensions in the Middle East, Ruth acted scandalously on the threshing floor, and Mary Magdalene is infamous for a life of prostitution. However, do these common representations accurately reflect what Scripture says about these women of the Bible? Glahn and the international team of both male and female scholars challenge these superficial treatments and contend we have often missed what biblical authors intended to convey about notable women of Scripture. While the tendency has been to sexualize (as in the case of Bathsheba and Rahab), vilify (like Hagar and Tamar), and marginalize (the Virgin Mary, for example) them, Scripture speaks to God’s concern for their outsider status. 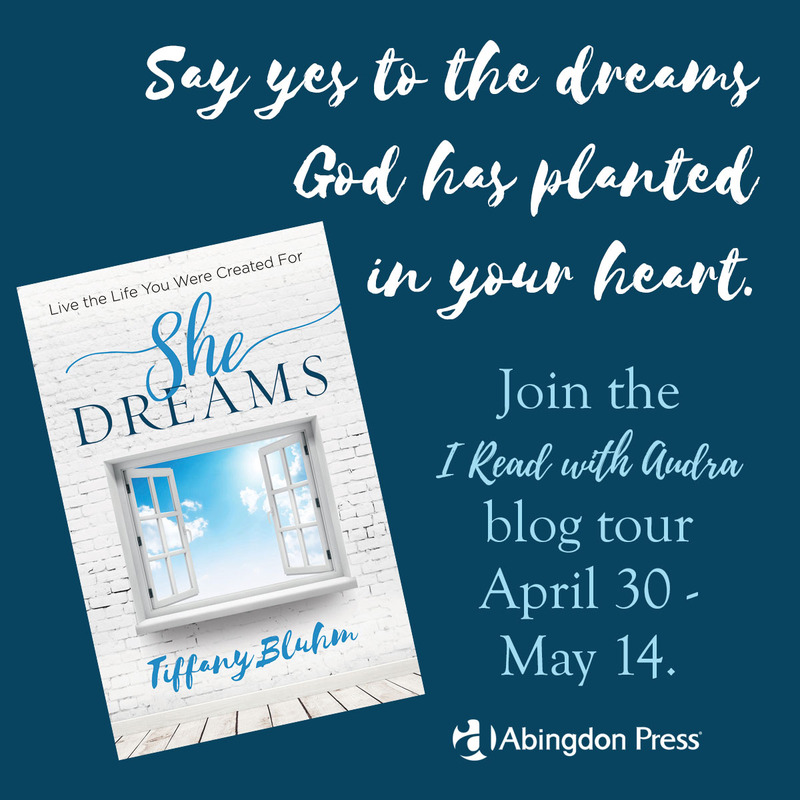 The authors contend that by misinterpreting these women’s stories, we also run the risk of adopting a faulty view of God and His mission in the world. The writers hope to help recover God’s heart for the vulnerable, the powerless, and the outsider. 1. What does the text actually say? 2. What do I observe in and about the text? 3. What did this text mean to the original audience? 4. What was the point? 5. What truths in this text are timelessly relevant? 6. How does the part fit the whole? Learn more about Vindicating the Vixens at Kregel.com. 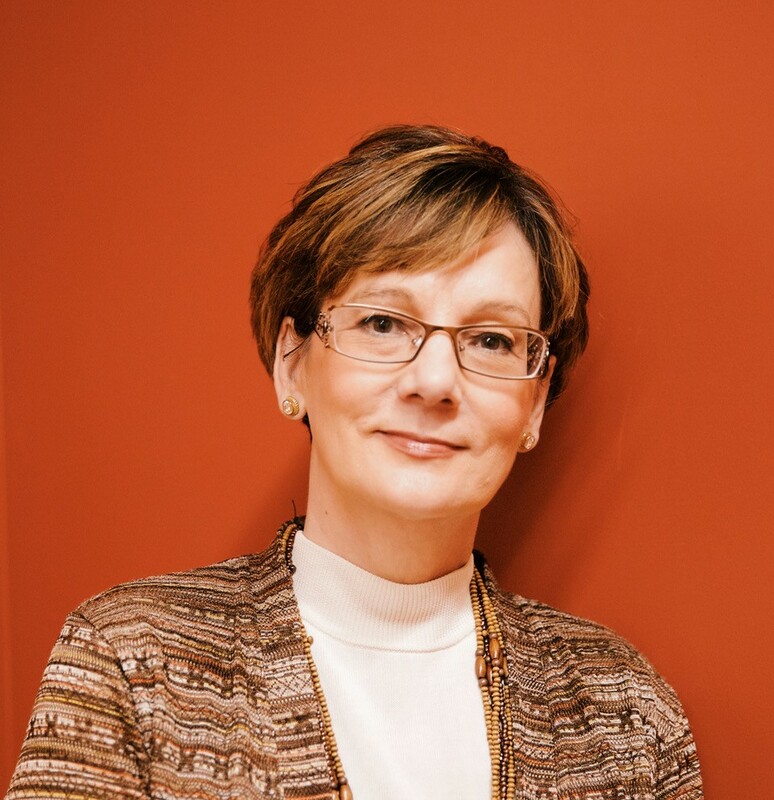 Sandra Glahn, Th.M., PhD, is a professor in Media Arts and Worship at Dallas Theological Seminary (DTS) where she teaches courses on the arts, gender, and human sexuality. She holds a Master of Theology degree from DTS and a Ph.D. in The Humanities—Aesthetic Studies—from the University of Texas at Dallas. 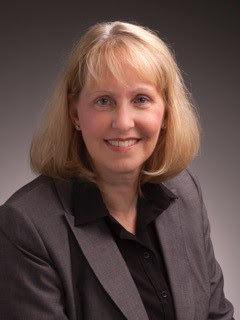 Dr. Glahn is author or coauthor of more than twenty books, including ten Bible studies in the Coffee Cup Bible Study series and both fiction and non-fiction relating to bioethics, sexuality, and reproductive technologies. 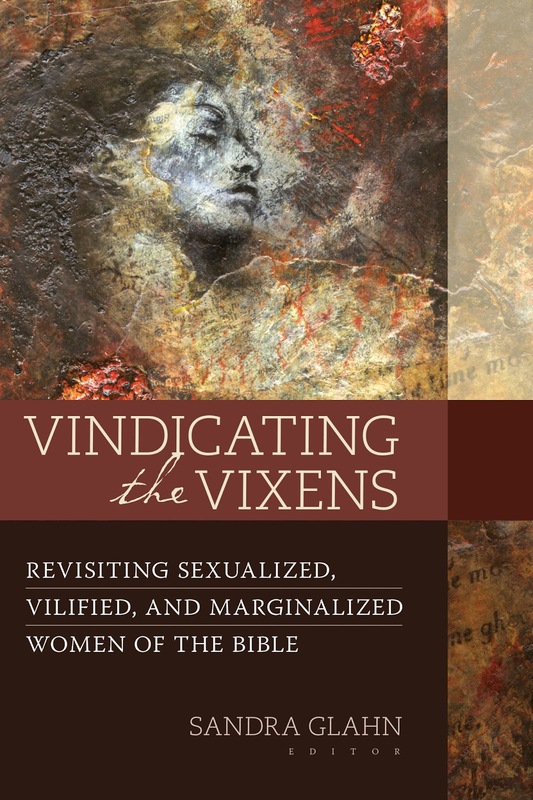 She served as the general editor of her most recent publication, Vindicating the Vixens: Revisiting Sexualized, Vilified, and Marginalized Women of the Bible (Kregel Academic). 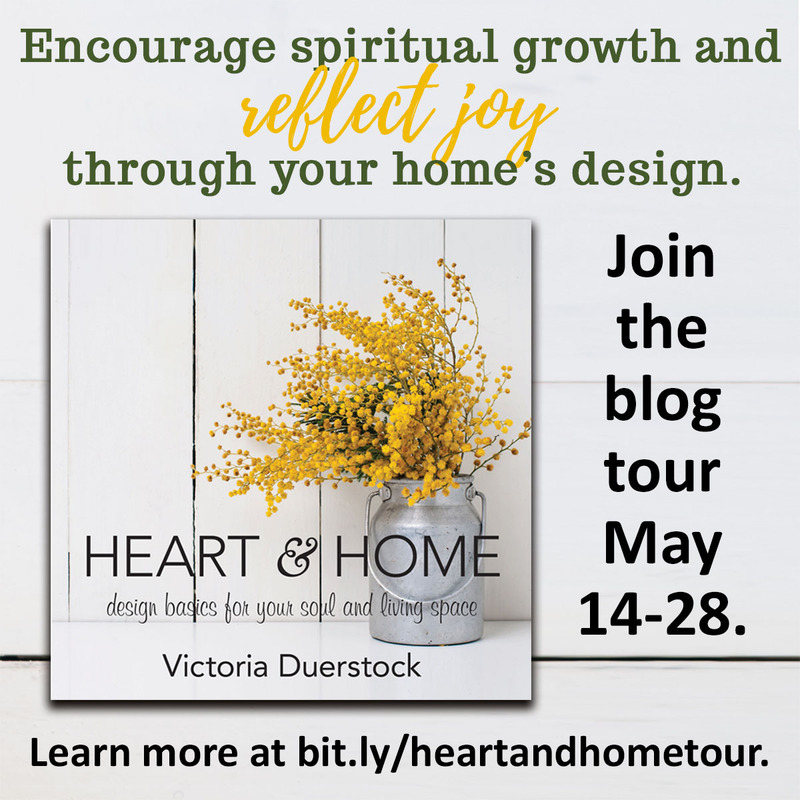 She is a regular blogger at Engage, Bible.org’s site for women in Christian leadership, is the owner of Aspire Productions, and previously served as editor-in-chief for Kindred Spirit. Dr. Glahn and her husband, Gary, live in the Dallas area. Learn more at www.aspire2.com and follow Dr. Glahn on Facebook (Aspire2) and Twitter (@sandraglahn). Maybe I ought to rename this blog "The Adventures of the Robo Vac" because that's the excitement in my life currently. In case you missed it, I got a robo vac for Christmas. It was something I really wanted because I'm a lazy housekeeper. I posted about my first experience with it yesterday. I set it free again tonight to see if it would finish making its way around the house. Could completely be my imagination, but it followed me into the laundry room and got under my feet while trying to put clothes in the washer. At least it went around the halls and made more sense in it's route there than the wandering around it did yesterday. Once in the laundry room, I opened the door so it could find the craft room. There it proceeded to do donuts in middle of the floor. I had seen it go in circles around a chair leg, but instead it was just making itself dizzy in middle of the floor. I was worried it would find all the little screws Dad always drops out there, but thankfully it didn't. When it decided to come back to me while I was in the kitchen, I had to wipe off it's face like a child or animal that had gotten itself into something. Thankfully it found all the cobwebs around the house. Thankfully, I do know that it can find its way back to the base. Doing donuts ran out the battery, so he found his way home. He kept getting caught in the bedroom the night before. Speaking of my bedroom, the thing somehow closed the door and got itself stuck in the cords underneath the TV. I have to childproof (or puppy proof) the place because it likes to find cords and I have to keep pulling it out. When I put him in his crate, I mean set it back on the charger for the night, I had to wipe off all the dust and pull out all the hair. Oh my word, my house is a mess. And the robo is high maintenance! Given how much I shed, and how I have to clean up after myself, I can only imagine animal hair. Me and my robo vac cannot handle that! My robo takes enough attention. If you read my blog yesterday, you know that I got a robo vacuum for Christmas. If you didn't read my blog yesterday, congratulations for having actual Christmas activities and better things to do than read my whiny blog. I envy you. It had to charge for four and a half hours last night, so I didn't send it off on its maiden voyage around my house until this morning. I thought I had it programmed to start at 10 AM this morning. About 10:15, I realized it didn't start, so I manually powered it up and set it off. I watched it zig zag around the kitchen table and through the area of my house I don't know what to call. It's possibly a dining room, maybe a den, just the middle of the house really. The open area. It zig zagged around the room. Within two minutes the front of it was coated in a nice layer of cobwebs. I was strangely mesmerized as I watched it do its thing. Deciding I could probably waste too much time watching it, I went on upstairs where I could hear it bang around finding walls and furniture. A little while later, I hear it beeping. I came down and went room to room trying to find where it went. It got jammed up in my living room caught in a corner. I helped nudge it loose, then it got jammed under the TV stand again because it could go part way under. Then, with the curve it got caught. I nudged it loose, then it wanted to go up the slanted leg of the coffee table and couldn't get loose. Though I have never had a puppy, I imagine this was something like training a dog. I decided since I was trying to work, it would be best to turn it off, return it to the dock and try again later. It was also starting to squeak, and I thought I had messed up this brand new vac before it could make its way through the house. After work and a couple of errands, I decided to let it loose again. It got caught in a pattern of going round and round and round one kitchen chair. Like picking up a turtle I had to set it aside to try to get it to go off in another direction. As I sat down in the living room, I hear it go banking against a door over and over again. It finally got loose and moved on to another room. It doesn't finish a room before moving on, but it went on its way. Squeaking. I'm annoyed it's already making noises it shouldn't. Let me say at this point I realized how strange it is having this thing roam your house. I went back to the living room when I hear a beep. It got hung up under my bed when it ran into a power strip. I had to get down on my hands and knees and pull it out from under the bed. I go back about my business and a few minutes later, it's beeping again. I reset it a couple of times. One time, I thought it got stuck in a corner. Then, I just didn't know why. I finally decide to check to see if it was full of dirt. While I wasn't sure it was picking up anything, it was full of dust. Now, I know how full my vacuum usually gets. I also know this thing has not been everywhere, but it does sweep up next to the baseboards where the regular vac does not. I dump it out and try to send it off again. It keeps stalling. It stalled under the bed again. After crawling down on the floor after it, I docked it again. I finished my dinner which had been interrupted several times by the vacuum that was supposed to run itself and make my life easier. Then, I went and decided to check the roller for hair. The whole thing was supposed to disassemble easily to clean. For the life of me, the roller won't come out. I pull out a huge wad of hair. The piece still wouldn't come out. I had cut and cut hair around to get the roller out. Yep. With no hair, it comes out easily. I tried one more time to see if it would run after getting it back together. It's not squeaking anymore. Evidently, it was gagging on my hair. I shed constantly, so I don't know how this robo vac is going to function in my house. Maybe if I vacuum really well with my old vac, then use the robo daily, maybe, just maybe, it won't be so bad. I haven't been able to let it roam long enough to find its way back to the base. Your guess is as good as mine as to whether or not this is going to work for me or not. I was thinking earlier that it would be nice to have a drone that would dust my house. Given the robo vac's experience on the floors, the poor drone wouldn't have a chance. I hope your Christmas has been merry and as eventful or peaceful as you desire it to be. Mine has been uneventful, relatively peaceful, and I desire to do it differently next year. I have 365 days to make a determination on what that is going to be. Originally, I was going to make this a short and sweet post, but true to my bad nature, I'm going to come off as ranting. I know I have issues that I need to work on. I have a bad attitude in need of adjusting. I confess. That's the first step, right? Our festivities were yesterday. After church, Mom and I spent some time in the kitchen. I rotated through cooking those five pans of ribs I posted about on Saturday. It was hassle not worth the time, let me tell you. Way too much food for seven people and trouble keeping or getting it warm by the time we ate since we started them too soon. Peyton had spent the night with me, so she was over at my parents' with me from lunch on. A little while later Paige arrived, and while we were waiting for Brian, Amanda and her teens (Kristin and Klayton), we got in three hands of 42. As is always the case with my brother who is too impatient and jittery for words to properly describe, we got to passing out presents and opened them in a whirlwind. I probably wrongly blame him. Maybe it was Peyton who was too over eager. I don't know. They barely walked in and boxes started flying across the room. I do know that for a fact. Thankfully, I had let Paige and Peyton open part of what I had gotten for them before everyone got there or I wouldn't have seen their reaction or got to explain how they can change up their KEEP Collective bracelets and necklaces. I really have no idea what anyone got. There's a reason why we used to rotate around the room and open a present at a time. You spend money, then have no idea how anyone actually reacts to what you got them. I got a couple of pictures of most of the group. Two is it. Then, it was time to finish up the in and out of the oven and microwave to make sure everything was kind of warm to eat. Paige and Peyton ended up leaving before dinner to join another branch of their family's festivities. I got this one picture before they left. Actually I got two, but Peyton's eyes were shut. As soon as dinner was over, Brian and crew left because he was sick. So, then it was time to clean up. I abhor sandwiches, but know why we have had them in the past. I may even suggest it next year. It was too much in too short of a period of time to even enjoy anything about what was going on. Mom, Dad and I sat down in the living room eventually where I thought I might go stark raving nuts if I had to watch a marathon of American Pickers or Duck Dynasty. Dad wondered off and ended up at the computer playing solitaire. I told him if was doing that, he could play Canasta with me which he claims he hates. This morning, knowing there was absolutely nothing planned, I slept in, then wandered over to my parents' house by 11. They were trying to figure out the new Keurig. After sitting around a while and scrolling through Facebook, I declared being ready to eat leftovers to have something to do rather than listening to the clock tick. (I was literally bored to tears, but snuck down the hall to the bathroom to try to hide them.) After warming up and cleaning up food again, Dad turned on what was supposed to be a marathon of the best Ranger games from 2017 which had so little to highlight, we could not figure out the significance of the game in question. He brought up wondering what was going to be on at the movies, but revisit my post from a few days ago. Mom informed me Saturday night she had nightmares about shrinking people from childhood, so that narrowed choices even more. I stated we wouldn't find a movie we would all agree to. We also talked about that yesterday. Mom had already threatened me not to ask her to go anywhere today. I came home and took a nap. Then I plugged in my robo vac to charge and put together my new stool for the craft room. I'm all about a do nothing day from time to time, just not on Christmas Day. I thought it was supposed to be special. I know, special is what you make of it. It's just part of why I have been really having a hard time this holiday season. A really hard time. I'm pretty sure I have mentioned that a lot. It's the most lonely time of the year, and scrolling through Facebook out of boredom is not a cure for all that ails you. Was it bad experience? No. I know so many people have so many problems. I have a lot to be thankful for. I know I'm the one that needs to change my outlook and quit complaining. I need to work on my expectations. Maybe my robo vac will be charged here in a little while, and I can set it off over the house. I've been needing to vacuum for two weeks now and haven't had a chance, so it has its work cut out for its maiden voyage. Poor thing. How great it is to sleep late on a Saturday and not have the neighbor's yard people making a lot of noise! If my phone wasn't on silent, I would have been awaken by Peyton's, "Whatsup?" text. That usually means we'll end up running around together. She didn't make it over in time to make peanut butter balls which I have decided may not be worth the trouble or in time to bag up the treats which Mom actually helped me with. I prepped enough pork ribs to feed 25 people. I'm not sure why Dad thought we needed so many for 9 people tops. Actually, he might have had enough for 50. He bought a bunch at HEB in Waco, then decided they weren't the kind I usually fix. Since they didn't have much meat on them, he froze those and bought some more that still weren't the cut I usually do. There's 5 big pans. No one is going to eat that much, and there's enough ribs to last for weeks. I honestly don't know what he was thinking. He'll be thinking the same thing though on day 4. It wasn't until after 7 or so that I picked up Peyton for a quiet evening trying to find something we were willing to watch on TV. The peak of holiday excitement will be tomorrow afternoon. It’s human nature for people to want something bigger and better than what they currently have. When problems arise in a marriage, the grass can look greener in every other yard in the neighborhood, luring them to believe they will find true joy and fulfillment on the other side of the marital fence. 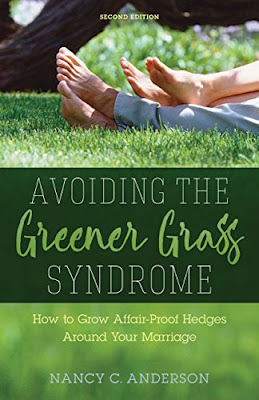 In Avoiding the Greener Grass Syndrome: How to Grow Affair-Proof Hedges Around Your Marriage (2nd edition) (Kregel Publications/November 27, 2017/ISBN: 9780825444968/$12.99), Nancy C. Anderson assures readers the greener grass is only a mirage and shares how to grow the greenest grass of all in their own backyard. Nancy C. Anderson is an award-winning writer who has contributed to thirty books, including six Chicken Soup for the Soul titles. She is also the author of Avoiding the Greener Grass Syndrome: How to Grow Affair-Proof Hedges Around Your Marriage. Anderson has written many marriage articles for websites such as Crosswalk, CBN, FamilyLife, and GrowthTrac. She has been featured in national media such as The Huffington Post, The 700 Club, WORLD Magazine, Our Daily Bread and FamilyLife Today. Along with her husband, Ron, Anderson hosts the new TV program, Growing Healthy Marriages, on HSBN.tv. The Andersons and their son, Nick, live in Orange County, California. Learn more at www.NancyCAnderson.com. 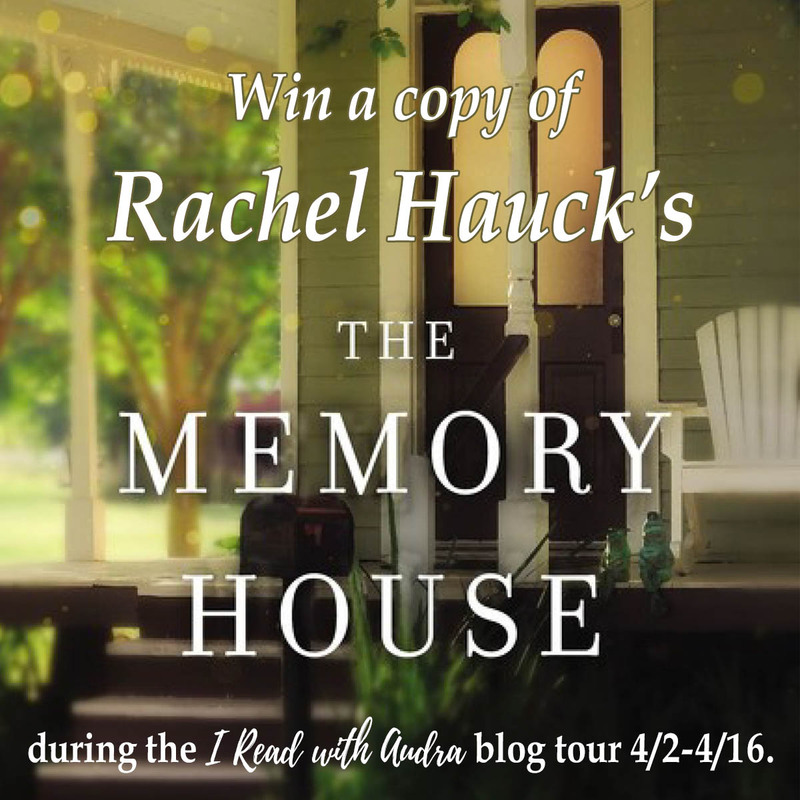 The author is also on Facebook (Greenergrasssyndrome), Twitter (greenergrass55), and Instagram (greenergrasssyndrome). 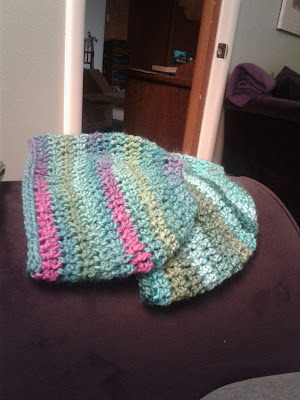 I know you miss the crafty posts with my latest projects, so here are my latest projects. 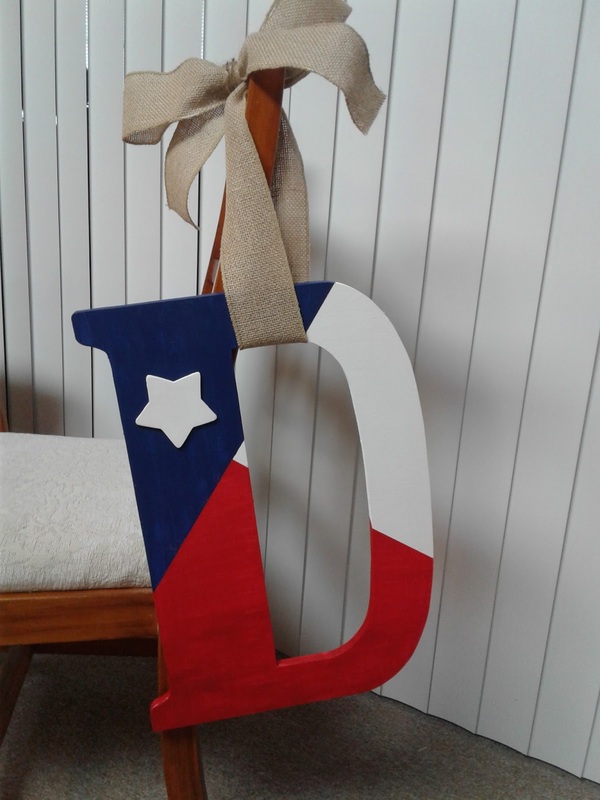 A custom D painted like the Texas flag instead of the American flag. I'm in middle of making 5 messy bun hats that someone asked for 6 weeks ago. Good thing I still have a week until Christmas! I have actually made 2 per night the past couple of nights. I'm just an hour and a half away from being finished. I am pleased to announce I was able to abide by the Saturday morning rule. I didn't get out of bed until 9:30 AM after being up before the sun thought about rising for 9 out of the last 11 Saturdays. However, I forgot that the neighbor's yard people come out at 8 something every other Saturday morning. For the love of sanity, I have no idea what on earth they possibly were doing outside my bedroom window. I stayed in bed while they were buzzing around. I don't care what time of the year it is, yard people should not being doing any yard work before 10 AM on any Saturday of the year out of respect for the rest of the neighborhood. What I did accomplish today was putting Christmas gifts in bags, work on two of my last orders for Christmas and do a little Christmas shopping. Oh, and I have a jumbo project to work on in the coming week, I find out. As my brother joked last week, guess Santa's elves will be busy up until Christmas. "This is the week I will stop staying up until 2 AM." That's what I kept telling myself. I lie to myself a lot. 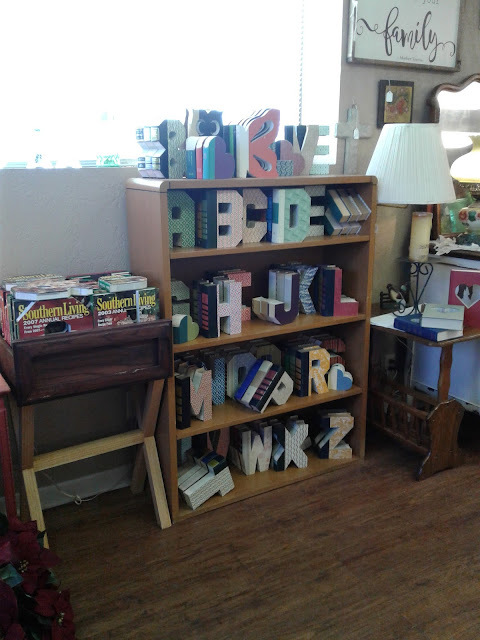 Now that we are done with craft shows for the year, we're putting book letters back in the shop that didn't close after all. We had pulled stock out thinking they were going out of business, but when the shop got new owners, we were too busy to get stuff right back in. This means I needed to sort through what we had and get a variety of options together to take back down there. I'm super dooper OCD with keeping inventory, but a part of the reason I do that is so that I don't end up with all one color of a certain letter. For example, I don't want 6 green Fs. I did end up with some issues like that. That's what happened when we made a second set for that week we had two events. As I went through and stickered the ones to go in the shop, I actually stickered all of the books and coordinated them with my inventory lists. It took three nights to compare the books to the inventory list and sticker 9 boxes of books. These 9 boxes of books are the only craft stock that has made it back to my house so far. I think Dad thought I was being difficult by wanting them back over here, but I've been pulling out books for orders and requests in addition to getting them down to the shop. He's not going to take photos and text back and forth. At least it is all done now, and I have a plan of how to keep this up when we start back up doing events and cutting more stock. Now, I'm hoping I can go to bed earlier next week. Our good and all-powerful God always keeps his word, and the way he fulfills his promises is better than anyone could have imagined! 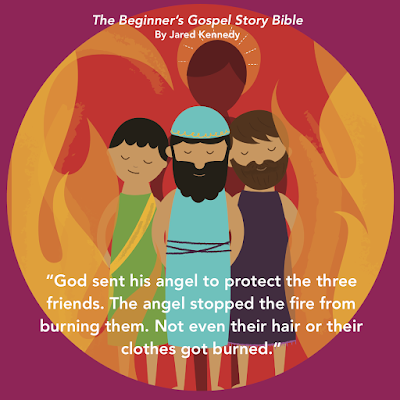 In The Beginner’s Gospel Story Bible (New Growth Press), Jared Kennedy traces God’s perfect promises for toddlers and preschoolers through fifty-two Old and New Testament stories. Even the youngest kids will come to now that God’s promises are especially for them and that all of them are “yes” and “amen” in Jesus. Each gospel-centered story highlights God’s tale of redemption through Jesus and the unexpected and surprising ways that God’s grace and mercy are revealed throughout the Bible. Children will hear the good news of God’s love for them clearly expressed in ways that will speak to their young hearts. Brightly colored illustrations by Trish Mahoney highlight the stories and add fun teaching elements of counting, opposites, patterns, and object recognition to keep even the youngest child’s attention. Every story also ends with a question that parents and caregivers can use to further reinforce the message. 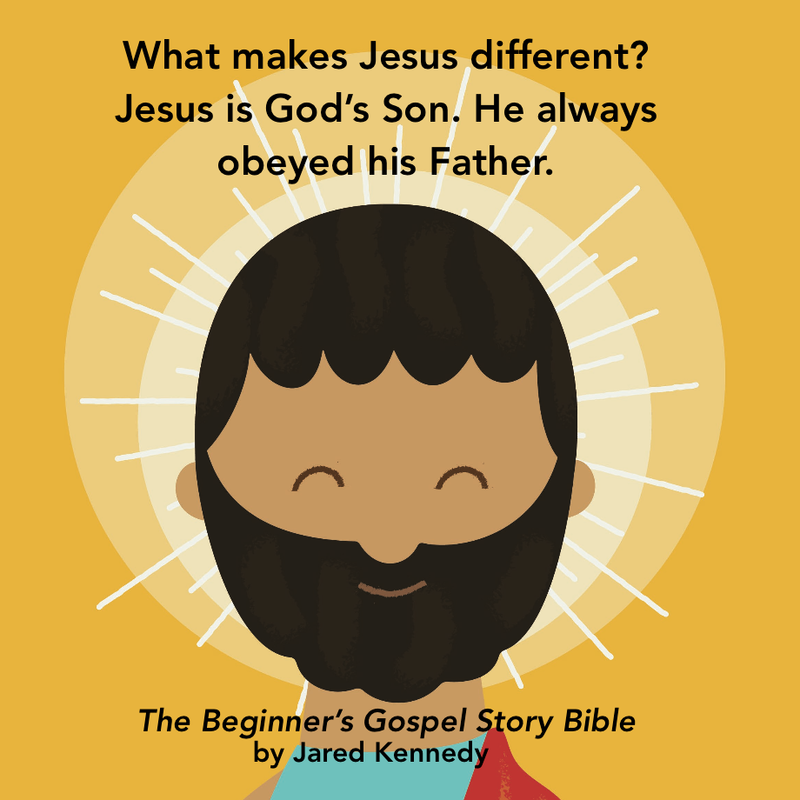 Below Jared Kennedy answers questions about The Beginner’s Gospel Story Bible. What makes your book different from other Bible storybooks? Some Bible storybooks miss the meaning of individual passages because they focus on the big picture. Even more often toddler story books miss unifying biblical themes because they’re focused re-telling individual stories. A few Bible storybooks—like the ones by Marty Machowski and Sally Lloyd-Jones—do both well, but they aren’t geared toward early readers. That’s what makes this book different. Through the faithful re-telling of key stories, toddlers and early preschoolers will hear the good news of God’s love for them clearly expressed in ways that will speak to their young hearts. What led you to want to write a Bible storybook for toddlers and first readers? 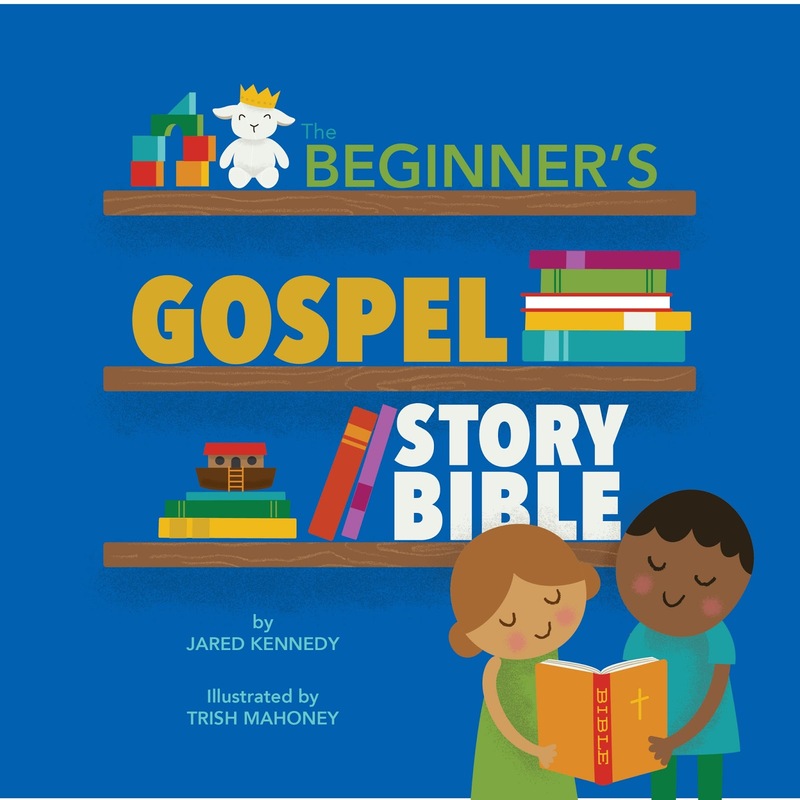 As I mentioned, there are a number of excellent gospel-centered resources for young children—great story books and curriculum, but few of them focus on toddlers and first readers. When teaching this age group, I found myself reaching back to resources from the seventies and eighties—storybooks by Ella Lindvall and Ken Taylor. I saw a need, and I wanted to provide a more contemporary resource for ages two to five. Can children that young really learn the gospel? Yes. Jesus said, “Let the children come to me.” He meant kids of every age. You see, children often learn the language of faith before their faith is fully realized. As soon as kids start talking, we can help them learn a beginning vocabulary of faith. What do you mean by “a beginning vocabulary of faith”? 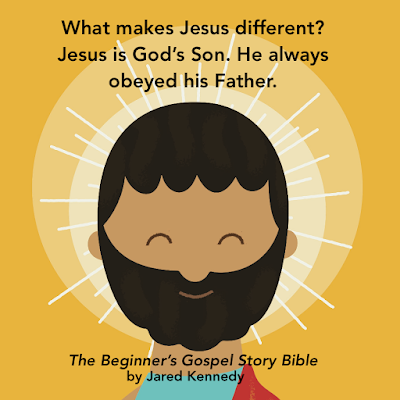 In The Beginner’s Gospel Story Bible, kids will learn the name of Jesus as well as the names of other key Bible characters. They’ll also learn basic Bible words like sin, promise, Jesus, Savior, pray, and forgive. What are the special features that will help keep beginning readers engaged? In all 52 stories, one key truth is highlighted in bold letters. Each story also ends with a question that parents and caregivers can use to further reinforce the truth. Brightly colored illustrations highlight each story and add fun teaching elements of counting, opposites, patterns, and object recognition to keep the youngest child’s attention. Yes. The Beginner’s Gospel Story Bible traces God’s perfect promises through the stories of the Old and New Testament. Our youngest children will see how our good and all-powerful God always keeps his word (Num. 23:19). The way he fulfills his promises is better than anyone could have imagined! One for every week of the year. In addition to being a helpful resource for family devotions, I wanted this book to be a helpful tool for Sunday School and children’s ministry classrooms as well. Since there are 52 stories, you might consider teaching one story per week as part of a one-year Bible curriculum for toddlers and young preschoolers. When I’m telling stories to young children, what should I do to keep the gospel central? As you read the story, help the children identify with the characters who need God to save and rescue them. Then, as you tell the story, make God the main character. Keep who he is and what he does to rescue and save front and center as you tell it. What kinds of things did you learn about God’s Word or about yourself while you were writing? One Bible truth I didn’t know is that the Ark of the Covenant went in the midst of the people (Jos. 6:9) when they marched around Jericho (not out in front as I originally wrote down in a first draft—thank God for good editors!). That fact illustrates a key truth for me. To accomplish what God has called me to as a parent and a Christian, I desperately need God to go with me—in my midst—every day. I pray this book will encourage that kind of desperate faith for you and your family too. Learn more at www.gospecenteredfamily.com and www.newgrowthpress.com. ABC is advertising Janu-Arie... Know what that means? In looking at my recordings list on my DVR, I saw that I've missed an episode of The Bachelor. A tease episode of the upcoming season, starting in Janu-Arie. I don't think I cared much about Arie years ago, much less now. Oh, what do I do? Do I watch? Do I blog? HELP! Comment now and tell me what I should do. 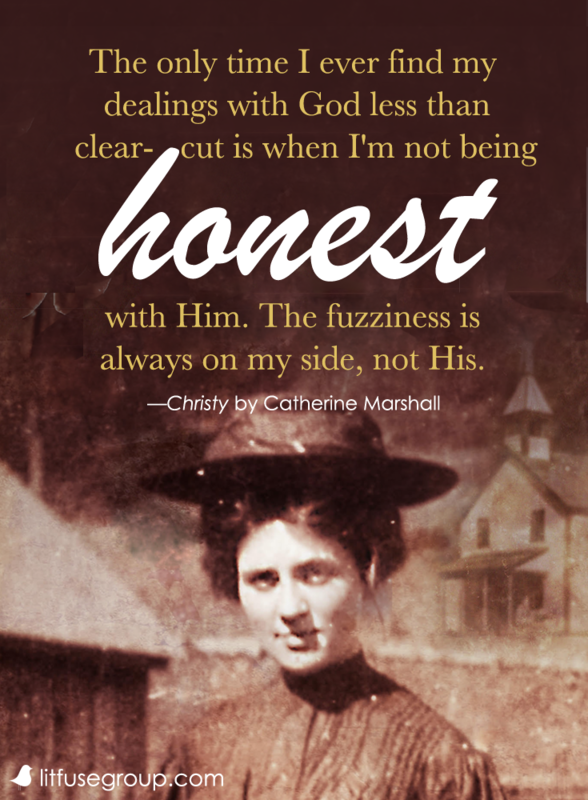 Catherine Marshall’s Christy landed on the New York Times list on November 5, 1967. Since then, more than 10 million copies have been sold worldwide, and the book blazed a trail for the new Christian fiction genre. In 1994, more families were introduced to the beloved character, Christy, and to the works of Marshall when the story inspired a CBS television movie pilot starring Kellie Martin that was so well received, it became a TV series. Q: Why do you think Christy resonated with so many people at the time it was written? What makes this story as culturally relevant today as it was when it was first written? 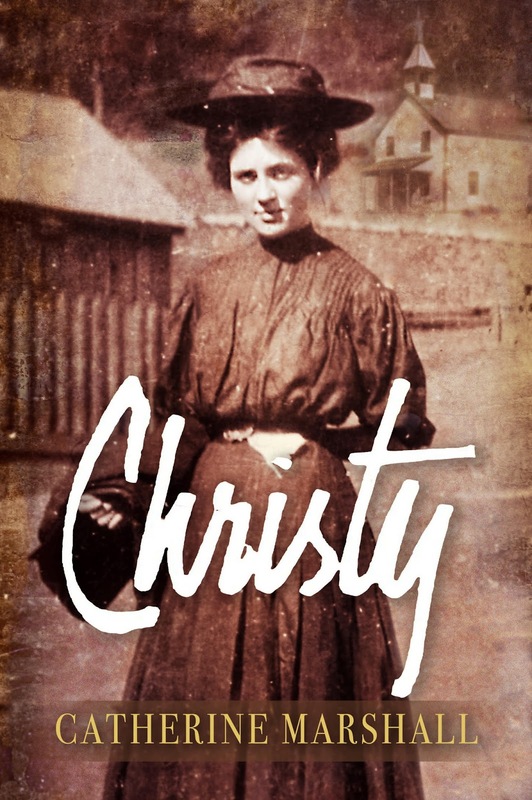 Christy was first released in 1967, a turbulent time in our nation’s history. Americans were politically at odds with one another, and protest, frustration, anger and violence in the streets of America were at new heights. The civil rights movement faced tensions as the Black Power movement challenged the Martin Luther King non-violent protest approach. The number of young people drafted to fight in the Vietnam war brought the reality of death to many families. Drugs were rampant. 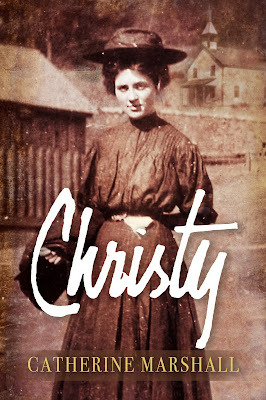 The story of Christy, though set 50 years earlier, was not so different from the time in which the novel was first published or today. The Mission represented the desire of outsiders to live alongside the mountain people and provide education and guidance. In reality, it was an attempt to create social change. The centuries-old “mountain ways” were threatened by the Mission school and its “newfangled” ideas. Christy's desire to educate her students, challenge superstitions, and to open up opportunities for them outside of the Cove threatened the fabric of the lives of these isolated people and even the cohesion of their community. Evil existed in the excesses of alcohol and the problems of an economy heavily dependent on the sale of the moonshine. Feuding caused deaths that seemed senseless and tore families apart. Now we are nearly in the 2020s, and Christy is just as relevant today as ever before. Wherever there are young people who are passionate about impacting others, changing society’s social problems or caring for those who are impoverished or uneducated, there is Christy. Q: What would Catherine Marshall think of the book being so popular that it became a beloved TV series? Because Christy was on the New York Times best-sellers list for 38 weeks, there was a heated bidding war for the movie rights. MGM purchased the movie rights to Christy shortly after it became a blockbuster success. In 1969, the movie was in pre-production. A well-known director and award-winning scriptwriter were engaged by the studio. The script was written, and just like she did with the popular movie, A Man Called Peter, Catherine consulted with the studio. Then MGM was sold, and every picture in production was canceled. As you can imagine, it was a deep disappointment to Catherine. The Christy film rights, which had been sold to MGM, were locked up for decades and held hostage by the studio that had no plans to do anything with the rights or the script now relegated to the basement files. This story, perfect for dramatization, was owned by a studio with no desire to bring it to life. The CBS TV series resurrected the dream of Christy on-screen again — this time on television. Although Catherine was not alive to enjoy those episodes, her family was thrilled with Kellie Martin’s portrayal of Christy. We believe Catherine would have agreed and been delighted to see the character of Christy come alive visually and dramatically. Many of the episodes were drawn directly from the novel. A number of the endearing school children in the series were local to the area, and some had never acted before. The portrayal of Christy, Dr. MacNeill and Miss Alice by experienced actors who were ideal for their parts brought the novel’s characters to life. Catherine would have appreciated the authenticity brought to the series by the producers. She was a stickler for historic research both in Christy and her next novel, Julie. She believed the historic detail and the use of it in her vivid descriptions, plotting and characterizations transported the reader back in time to the community and brought them alongside Christy in “real time” as she was experiencing the Cove. The authenticity of the location in which the series was filmed, the depiction of the Mission buildings, the detail in recreating this Scottish highlander mountain community and the care of the writers and the producers to bring the novel to life made the series a success. Now, what about Christy’s dramatic big screen or television future? There is nothing in the works right now. It was always Catherine’s hope that one day Christy would be a film musical. We can dream. Q: How has Christy shaped Christian fiction and the Christian publishing industry as a whole? Christy was a trailblazer. When it was released in 1967, there really wasn’t much of a “Christian fiction” genre. 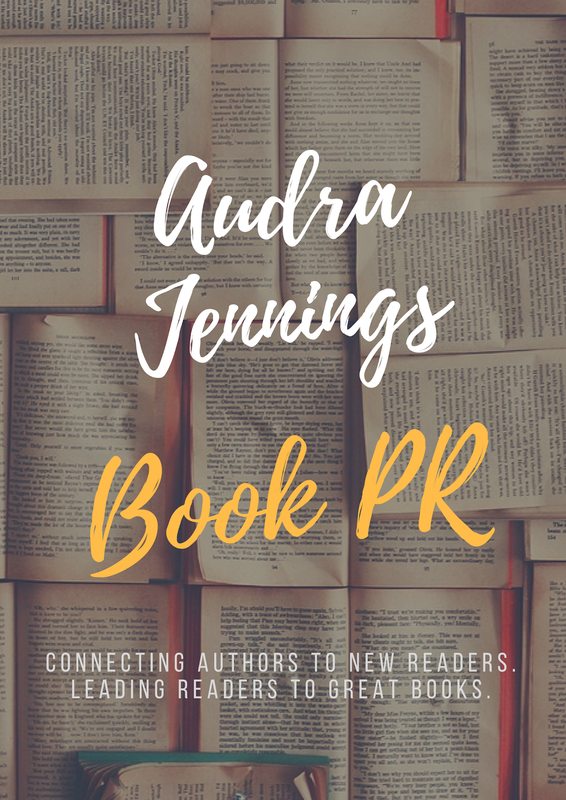 The book’s acclaim and success was an inspiration to a new wave of authors who went on to become the foundation of Christian fiction. When this category of writing achieved enough momentum to require its own set of awards in 1999, it was only fitting to name The Christy Awards after Catherine Marshall’s pioneer novel that set the bar so high. 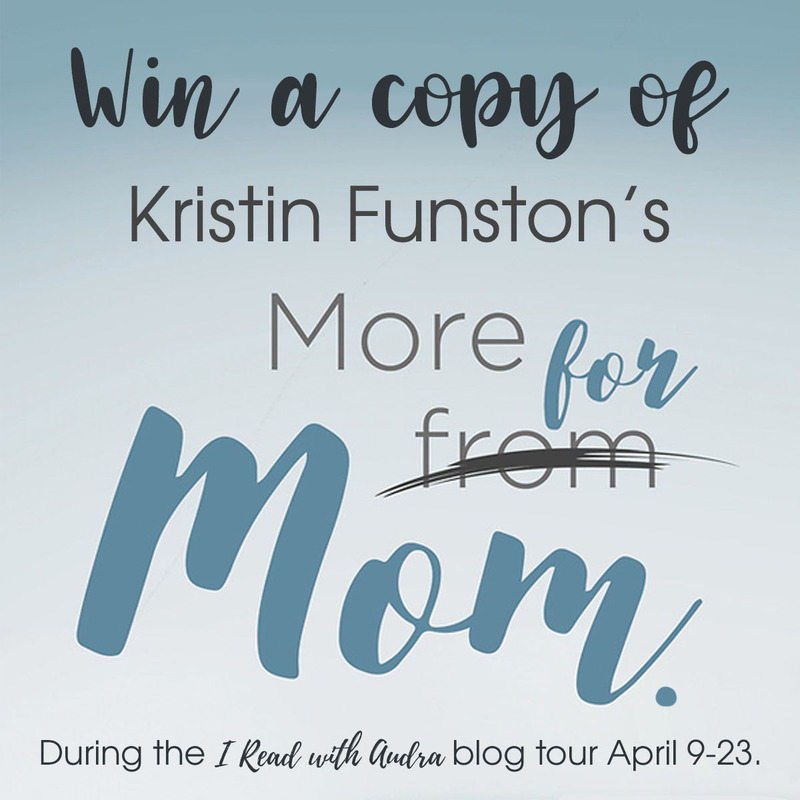 Many of the greatest Christian fiction stories throughout the years also take a page from the character of Christy Huddleston herself. One of the reasons she is so relatable is that she struggles, falters and doubts. For most of us, our first true exposure to the darkness and brokenness of the world rocks our worldview, and Christy is no different. Catherine Marshall wanted to emphasize that it’s OK — even appropriate — to be filled with questions in the face of tragedy and evil. Christy has good intentions, but she’s definitely not a super-Christian. It’s the influence of this character, one whose relatability transcends generation or geography, that continues to help shape the genre. 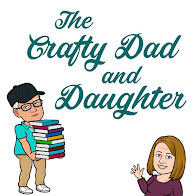 Q: Are there special features in the new edition for both those who have read and loved Christy many years ago and younger generations who aren’t familiar with the book? Actually, there are no commemorative features. In this new edition we went back to the original model, creating a book that can be easily read by millions of new readers. Our intention was to create a book to be read, not placed in a shelf as a keepsake. In addition to this new hardcover addition, the book is available in digital format for the first time. We’re so excited to be able to reach new readers with the e-book.